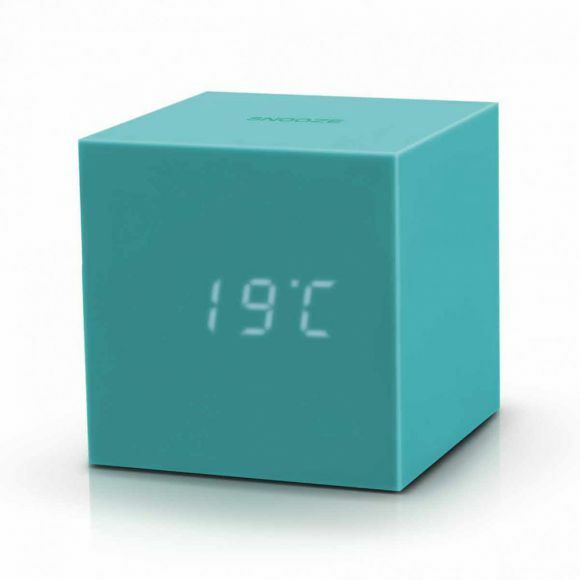 Gingko Gravity Cube Click Clock - Green - All you need for your home and garden. When time meets colour, we think it’s glorious. 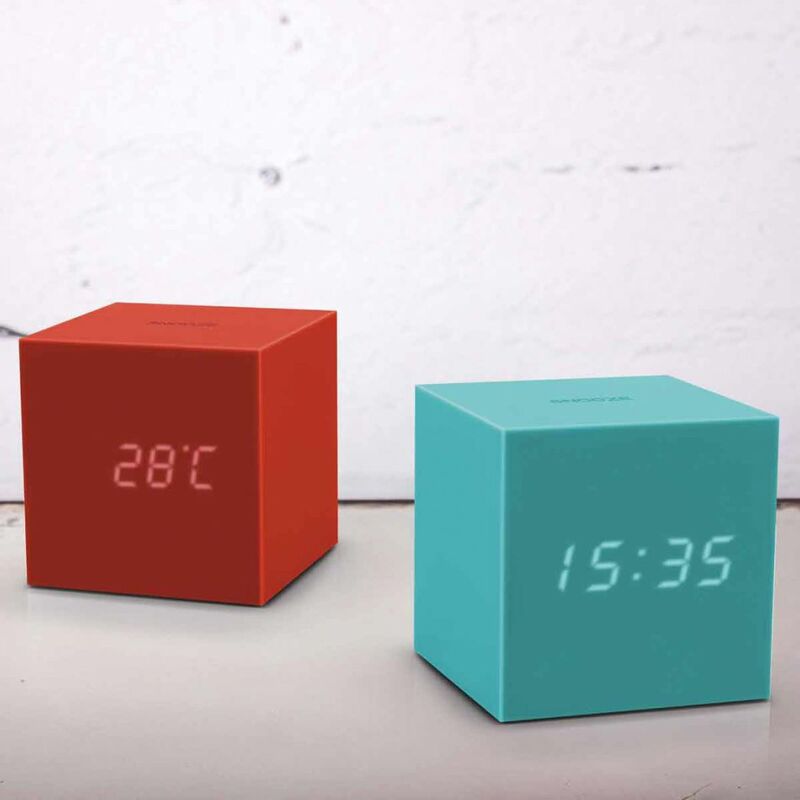 Housed in a bright colourful and sleek rubberised cube and designed with the ingenious touch sensitive snooze and gravity controlled alarm, the new colourful Gravity Cube Click Clock collection can make your every minute in bed matter. To snooze simply touch the soft top of this cube and to turn off the alarm, just turn it over onto any side. It’s a great way to stop you fumbling in the dark looking for the snooze or off switch and make your every morning start with fun. 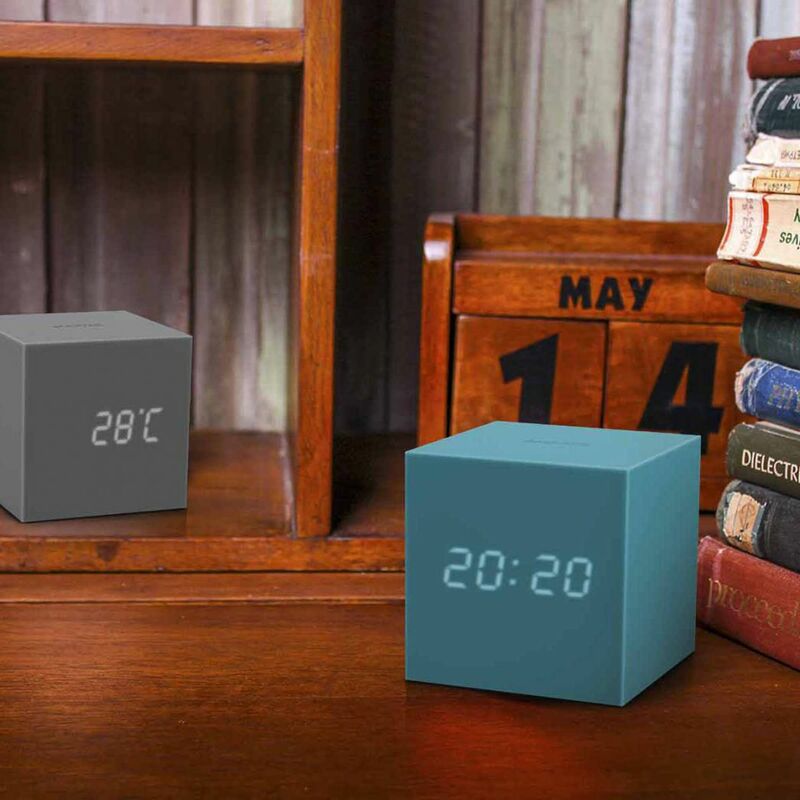 The Gravity Cube Click Clock still incorporates the same sound activated LED display technology as our other click clock ranges and it displays the time, date and temperature alternately at the click of your fingers or clap of your hands. When you need to check the time in the dark, just give a gentle tap of your bedside table or simple click of your fingers, the time will instantly appear for you and switch off automatically when you don’t need it.